Isaac Thurman Killed in Stockton Shopping Center Shooting; Security Lapse? Could this senseless loss of life have been prevented and are justice and compensation available to Mr. Thurman’s family? Security measures are in question after 21-year-old Isaac Thurman was shot and killed in a Stockton shopping center parking lot Monday, August 28, 2018. According to The Stockton Record, gunfire erupted “in the 3400 block of Manthey Road,” shortly after 10 p.m. Responding officers discovered Mr. Thurman “in a shopping center parking lot in Weston Ranch.” Tragically, he succumbed to his injuries at the scene. 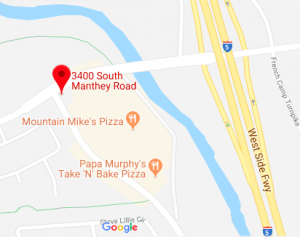 A separate Manthey Road parking lot shooting claimed the life of 18-year-old Ruben Cisneros in April 2018, per FOX 40 reports. The losses of these of two young men raise grave concerns over parking lot security measures in Weston Ranch. Did negligent security contribute to this parking lot shooting? We represent individuals and families who have suffered a tragic loss or injury as a consequence of negligent property security. Read Our Legal Take below to find out if Mr. Thurman’s family may have a legal avenue for justice and claims for substantial compensation in California, or call now for a free consultation with our legal team: 888.842.1616. What additional security measures, such as bright lighting, monitored surveillance cameras and security patrols, were implemented by the parking lot owner, following media reports of prior gun violence in the surrounding area? Generally, property owners are required to protect all those legally on the premises from any foreseeable harm. Should the facts of this matter reveal that the parking lot owner failed to provide adequate security to protect those on its premises, the family of Isaac Thurman may seek justice and elect to pursue legal claims for their loss.